OMG!!!. What should you do for your 50th birthday? I decided a new country would be in order, and so would a bit of luxury. On top of that sun would be needed. It turned out that the sun would be plentiful reaching 45 degrees on several days. 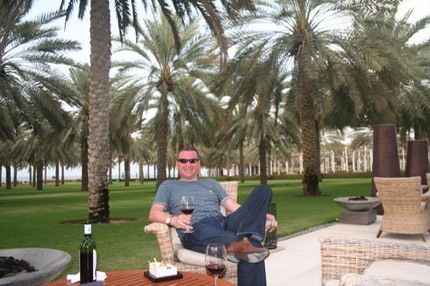 Staying at the Chedi hotel luxury was on tap. 3 great swimming pools and more than 3 restaurants kept us busy. This pool was on the beach and had a steady supply of waiters bringing water with ice and lemon. Certainly good enough until the 12 o'clock ice cold beer. 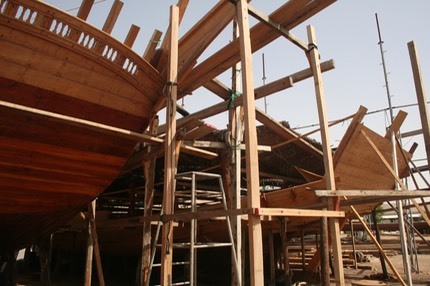 A day trip along the coast to Sur took in a few sights and a bit of birdwatching, but the best bit was into the boat yards where traditional dhows are still built today. Taking up to 1 year to complete, they are built purely by eye, no plans. 50 years old. How can this possibly have happened?